I am very happy right now (I will tell you more below)!! This is why I am finally posting this delicious smoothie, one that is now my favorite since 2 months. 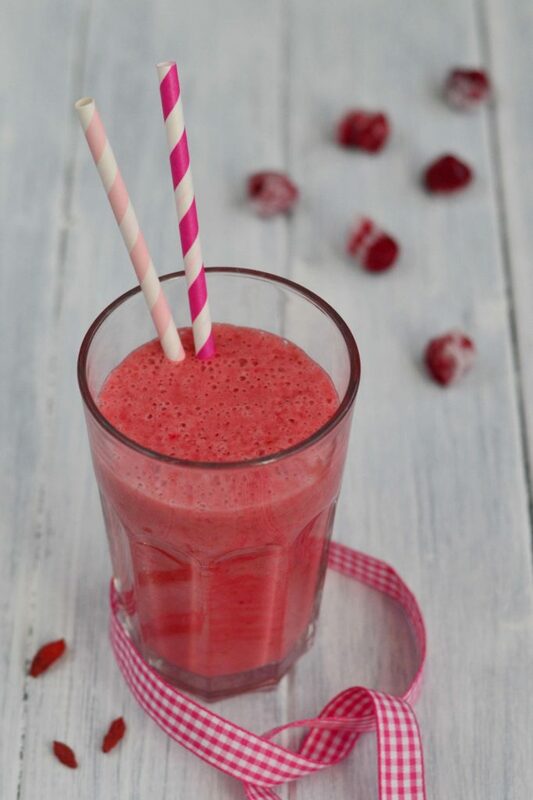 Goji Berry, Banana and Raspberry Smoothie is another excellent smoothie that you can have for kind of light breakfast or a healthy snack. I enjoyed this one especially last week, when being several days on liquid and soft food. 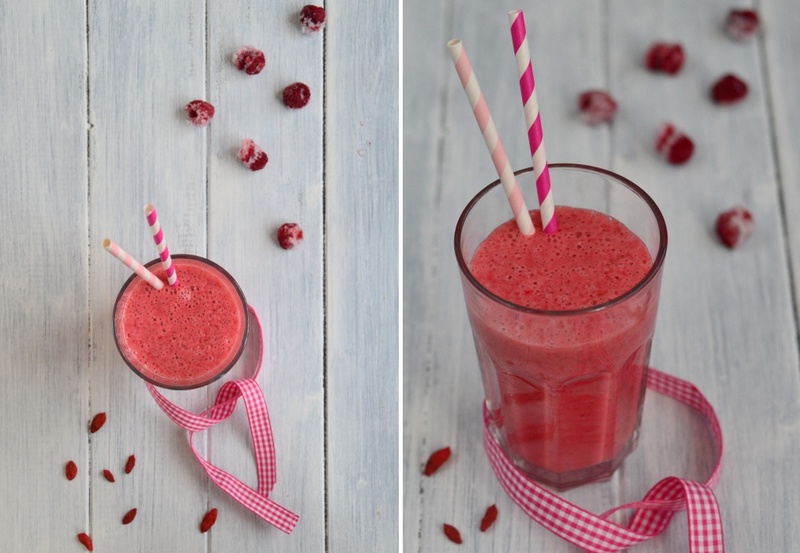 Let’s start with this delicious Goji Berry, Banana and Raspberry Smoothie! Goji Berries are such a healthy and nutritive fruit that contains not only a huge spectrum of antioxidants, but also proteins and minerals. Goji berry is originally from Asia but you can get the dry goji berries in the rest of the world too. Then you just add them into fruit juices and smoothies to get a yummy original and exotic taste. 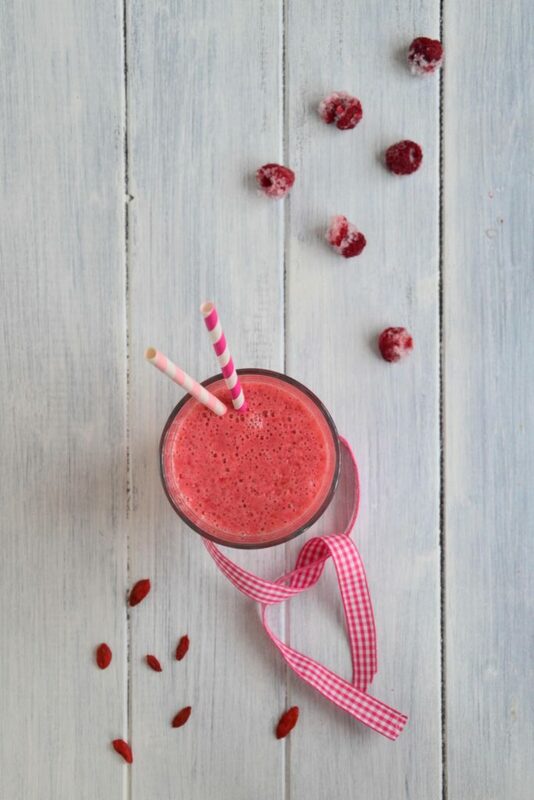 Goji Berry, Banana and Raspberry Smoothie is rich in vitamines A, C and K, antioxidants, betacaroten, potassium, calcium, magnesium and ferrum. Juice the orange, grapefruit and ½ lemmon and pour the juice into the mixer. Add banana, raspberries, goji berries and yoghurt. Mix until smooth, pour into glasses and serve.